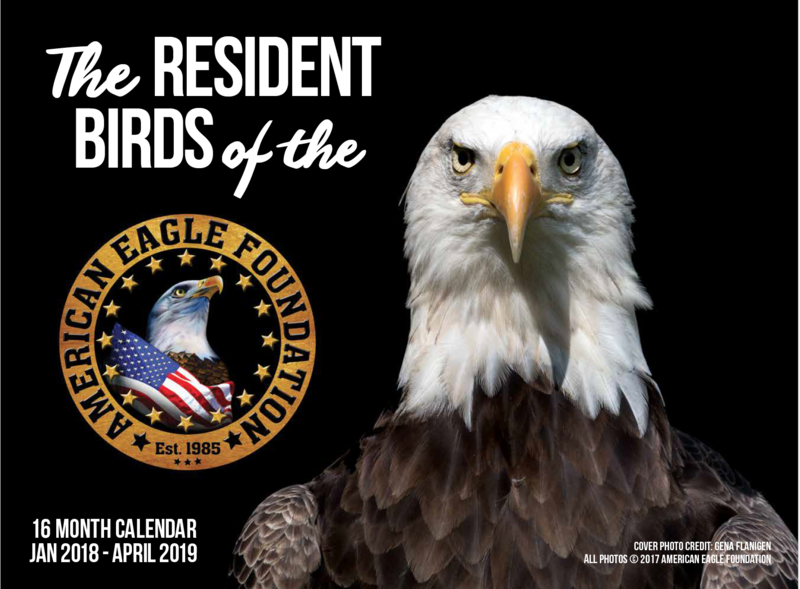 This 2018 calendar showcases 16 of the approximately 80 birds cared for daily by the American Eagle Foundation. ORDER YOURS TODAY! AND GET EXTRAS FOR FRIENDS & FAMILY! The first 4 months of 2019 are added as a bonus, in addition to a 2-page spread about the AEF. This calendar was months in the planning – and we are hoping you will LOVE it! It’s 13.5 inches x 10 inches. Two of the birds featured in this calendar sadly passed away before the calendar was printed: Victory, a magnificent Golden Eagle, and Orion, a much-loved Red-tailed Hawk. We were able to acknowledge Victory’s passing in the calendar, but when we lost Orion, it was too late for the printer to make edits. We hope their inclusion in this calendar will honor their memory and bring a smile to your face. 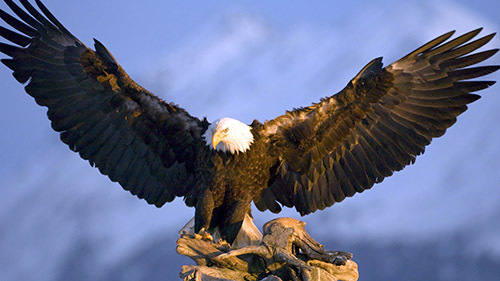 All our birds are ambassadors for their species and help educate millions of people about nature and the environment.